An online postal mailbox is exactly like an actual mailbox only much better. Your current mailbox is faced with threats like theft, destruction, and overflowing. This can only lead to an endless supply of junk mail, losing important mail, and most importantly, identity theft. An online postal mailbox is the new, advanced way to get your mail. It’s easier, faster, and more efficient. You can use an online mailbox or an online PO Box, whichever you prefer. This service gives you online control over your mail, flexibility, and high security. Virtual mail is the phenomena or the era and it’s time you book your box. But first, let’s go through how it works and the reasons you need one, now! 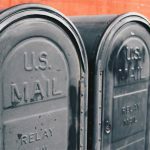 What is an Online Postal Mailbox? 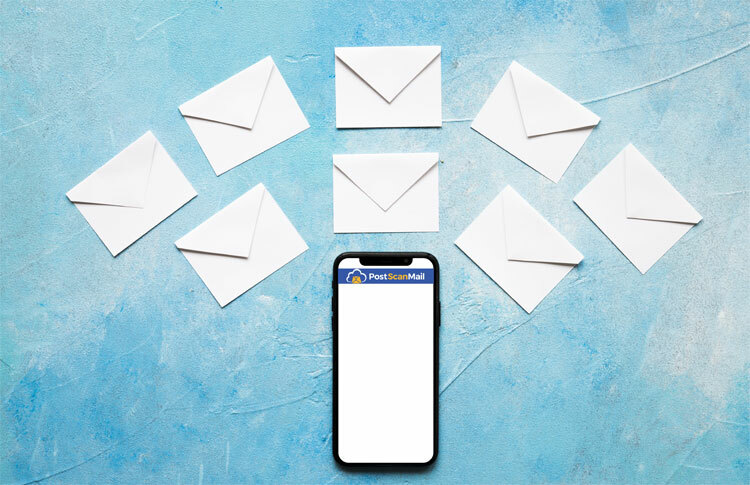 An online mailbox or a virtual mailbox service is the process of sending your postal mail and packages to secure mail facilities that then scan your mail and send you an online, digital copy. You’ll receive instant notifications with any new mail, log in through your computer or phone to stay up-to-date with your mail. You can even choose how to handle your mail by sending out mail requests like open & scan, forward, shred & recycle, or archive. Once the requests are in, mail operators take action. You’ll have a clean, neat mailbox in mere minutes with all your mail taken care of. You never need to wait near the mailbox when expecting mail or drive down to the Post Office again. With it you’ll get all your mail wherever you are whether at home, at the office, or on the road. All you need is an internet connection to sort through your mail and send out mail requests. You’ll be on top of all important mail like statements or bills and never lose mail again. Also, you can set up smart pre-filters and never get junk mail again! Set your mailbox just like you do your email and have mail go into specific folders. Your mailbox will never overflow again with useless mail. An online mailbox guarantees that your mail and your personal safety is a priority. When you leave your mail unattended in the mailbox, this puts you at risk of identity theft. Identity snatchers can easily get you in trouble by stealing your personal mail and committing crimes under your name. The process of recovering your identity is expensive and time-consuming. And even when you do get to your mail on time, are you shredding every sensitive document for your protection? An online mailbox means only you will have access to your mail. With a simple click, you can shred and recycle all critical mail. Your mail is sent to highly secured facilities with around-the-clock security guards and surveillance cameras in each corner. Only certified, trusted employees will handle your mail and make sure it gets to you safely. PostScan Mail takes your safety as a number one priority; any personal information given is well-protected under strong encryptions. You never have to worry about losing mail or any missing mail ever again. Christmas shopping just became ten times easier with a virtual mail service! With a virtual mailbox, you sign up for a real street address to get your mail and packages. PostScan Mail offers both online mailboxes and PO Boxes. 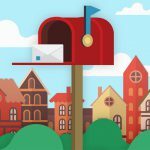 If you choose a mailbox with a US street address, you can receive packages from all carriers like UPS, DHL, FedEx and not just USPS, so no more online restrictions with the shopping & Shipping. 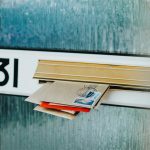 Offering a unique mail & package forwarding service, you can have your packages forwarded to your home or to any other address. Running low on storage space? PostScan Mail offers 30-day free physical storage space, so if you’re away or want to get your holiday shopping done early, you can put your packages on hold until you want them forwarded. Your packages will be handled with care and caution and kept safely in stored parcel lockers. This definitely beats getting them delivered to your doorstep and risking them being stolen, late deliveries, and damaged packaging. Your packages will even be consolidated before shipping to save any extra shipping fees. Save money and time with a mail forwarding service. With a virtual mailbox, you get a U.S street address. 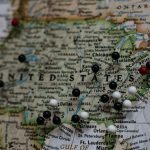 PostScan Mail has over 20 addresses nationwide to choose from. You can choose an address in any desired city. 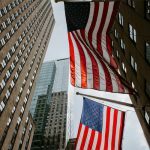 If you run a home business or a start-up and want to protect your home privacy, you can get a presentable street address in cities like New York, Texas, Chicago or California. Plus, you’ll have a stable business address to give out to your customers and investors for business correspondence. You can even use this address on your website, social media, and stationary to advertise your prestige location. It can have multiple users, this way you can share your mailbox with other employees in your business or family members in a household. Each can log in separately with different credentials and check their mail. 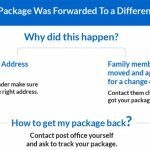 You only need to go through a change of address once to sign up for the service and have your mail forwarded and then no matter how many times you move, your mail will always be sent to the same address. Avoid the hassle of a change of address and confusing mail forwarding from one address to another with online mailboxes. We’re all looking for an affordable, quick way to get postal mail handled and shipping done, a virtual mail service offers this and more. 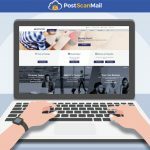 Go to PostScan Mail to get your 30-day free trial and try out the service. A digital mailbox is your way to an easier daily routine and an optimized business so don’t miss out on your chance. Sign up for your virtual mailbox here!